We are proud to install high-quality swimming pool liners in Hickory that are strong, durable and pre-treated to discourage bacteria. Swimming Pool Liners in Hickory – Your swimming pool liner is perhaps the most critical piece of equipment you have in your pool. It protects the surrounding concrete, holds in water, and makes your pool safe and comfortable to swim in. When you notice a problem with your swimming pool liner, you may be concerned that your pool is not safe for swimming. If you need assistance going through swimming pool liners for your pool in Hickory, North Carolina, come to us at S & H Pools for all your needs. Repairs – If you find a hole or tear or you see that your liner is coming out of the pool, you may be worried about what to do. 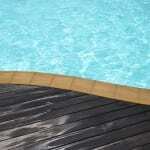 At S & H Pools, we can assist with liner repairs to keep your pool in its best shape this season. In-Ground Replacement – We have been helping our customers with their swimming pool needs since 1974, and we can help with swimming pool liners for in-ground pools. We will make sure to get the proper measurements and complete professional installation, so your swimming pool liner replacement is the perfect fit. At S & H Pools, we are proud to install high-quality swimming pool liners that are strong, durable and pre-treated to discourage bacteria in your pool. We are also a Pacific Pool Showcase Builder and offer the widest selection of swimming pool liners, so your pool looks great. Whether you are installing a new pool or are completing repairs, you shouldn’t have to worry about swimming through all of the swimming pool liners available. Our professional team can assist you in choosing the right liner, or help with swimming pool repairs, so your swimming pool is in its best shape. Contact us today to get started!